WWF warns of environmental disaster and permanent conflict if British firm begins drilling for oil inside Virunga national park. The Virunga national park, home to rare mountain gorillas but targeted for oil exploration by a British company, could earn strife-torn DR Congo $400m (£263m) a year from tourism, hydropower and carbon credits, aWWF report published on Thursday concludes. But if the Unesco world heritage site that straddles the equator is exploited for oil, as the Congolese government and exploration firmSoco International are hoping, it could lead to devastating pollution and permanent conflict in an already unstable region, says the conservationbody. 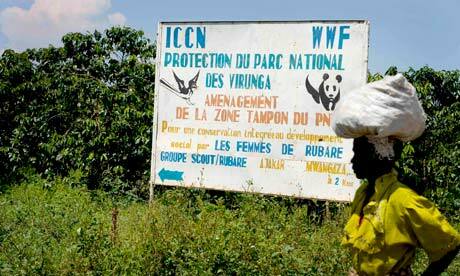 Virunga national park is home to the last few remaining mountain gorillas. “The population there is already very dense, with over 350 people per sqkm. When you take part of the land (for oil) you put more pressure on the rest. Oil would not provide many jobs, people would flood in looking for work,” he said. One fear is that the area is seismically active and another eruption of one of the volcanoes in the park could damage oil company infrastructure and lead to oil spills in the lakes. “Virunga’s rich natural resources are for the benefit of the Congolese people, not for foreign oil prospectors to drain away. Our country’s future depends on sustainable economic development,” said Lumbuenamo. 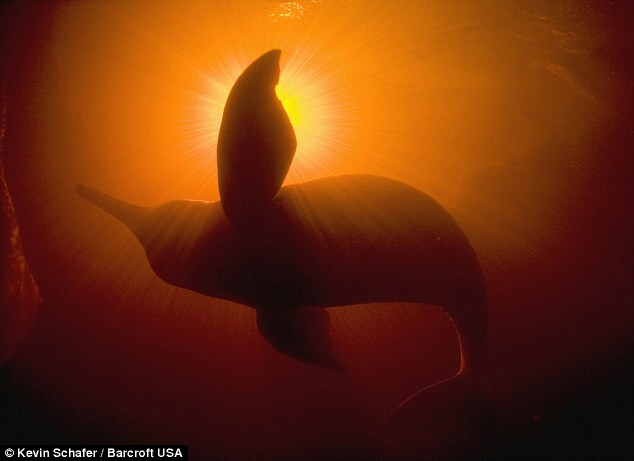 “For me, choosing the conservation option is the best option. We can always turn back. Once you have started drilling for oil there’s no turning back,” he said. The park, Africa‘s oldest and most diverse, is home to over 3,000 different kinds of animals, but is now heavily populated with desperately poor people, many of whom fled there after the Rwanda massacre in 1994. “In all, the park could support in the region of 45,000 permanent jobs. In addition, people around the world could derive an immense value from simply knowing that the park is well managed and is safe for future generations,” says the report. 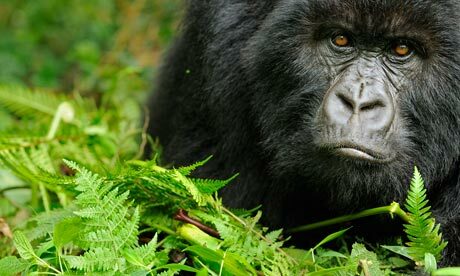 “Virunga represents a valuable asset to DR Congo and contributes to Africa’s heritage as the oldest and most biodiverse park on the continent,” the report says. 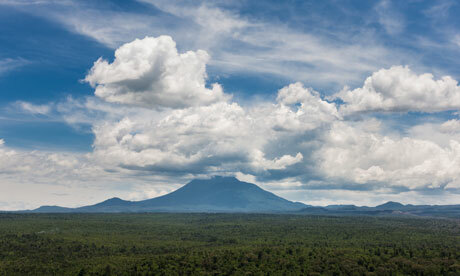 “Plans to explore for oil and exploit oil reserves put Virunga’s potential value at risk,” it says. In June, the Uesco world heritage committee called for the cancellation of all Virunga oil permits and appealed to concession holders Total SA and Soco International Plc not to undertake exploration in world heritage sites. Total has committed to respecting Virunga’s current boundary, leaving UK-based Soco as the only oil company with plans to explore inside the park. ~ by FSVSF Admin on 2 August, 2013.